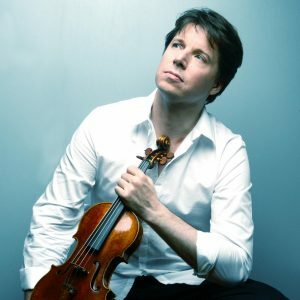 The Detroit Symphony Orchestra welcomes back award-winning violinist Joshua Bell to Orchestra Hall next week to perform Lalo’s Symphonie espagnole. Led by Music Director Leonard Slatkin, the DSO will also perform Prokofiev’s Symphony No. 5 and Steven Stucky’s Dreamwaltzes to honor and celebrate the life of the recently deceased composer. Performances will take place Thursday, May 26 at 7:30 p.m. and Friday, May 27 at 8 p.m.
Leonard Slatkin and DSO Assistant Conductor Michelle Merrill will present a pre-concert discussion about the program at 6:30 p.m. on Thursday, May 26. On Friday, May 27 at 7 p.m., composer Steven Stucky’s son Matthew will join Michelle Merrill onstage for a pre-concert interview. The concert will be webcast to a global audience via Live From Orchestra Hall free HD webcasts on Friday, May 27 at 8 p.m. EST (GMT-5). Log on to dso.org/live to view the performance from your computer, or download the free and easy DSO to Go mobile app for viewing on the move.